Falling sales and rising profits. It’s a contradiction that many companies experience and one that Wall Street is impressed with if the HOG stock price is any indicator. It closed at a 52-week high ($59.48) today. Despite the surging profit in Q1, WDAF-TV in Kansas City is reporting today that H-D plans to lay off between 130 and 140 employees effective June 30th. Seventy-five of the workers are “casual-employees” or seasonal workers who typically help during a surge in production. The remaining employees that will be let go are full-time. The Kansas City plant produces the Sportster, Dyna and VRSC models. Harley management has consistently stated a restructure goal to have a more flexible work force and to permanently be in a position to generate strong profits on a lower revenue base. You might recall the restructure move is all part of a new labor agreement signed in February 2011 that went into effect in August 2012. The agreement included reducing the overall full-time employment at the plant to about 540. Harley-Davidson management advised Kansas City workers that if they didn’t agree to the concessions, the plants work would be moved to York, PA. 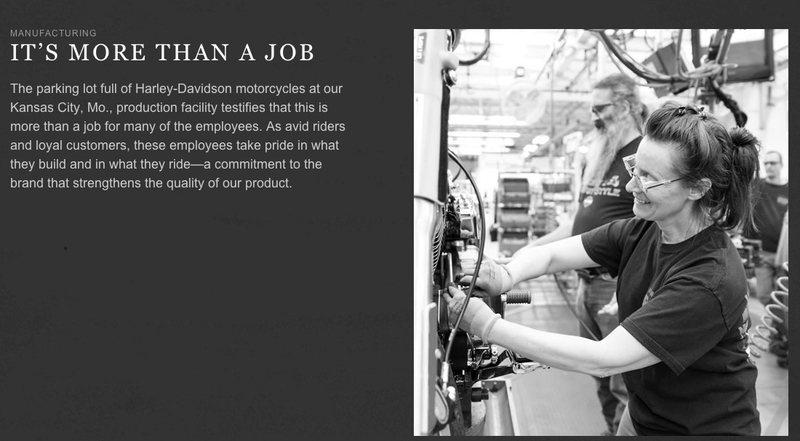 It now seems that H-D is conserving cash and keeping a close eye on production. It might be because there continues to be uncertainty about the stability of the recovery or it’s as simple as they’ve reached the end of their 2013 production run. In the TV video the interviewed employee, Benjamin Stark stated that workers were walking around like zombies. Not good. American businesses have gotten used to being much leaner and the joblessness shows only a few signs of easing. There is nothing I can say that will help ease the effects of being laid off, but I sincerely hope everyone affected rebounds quickly.